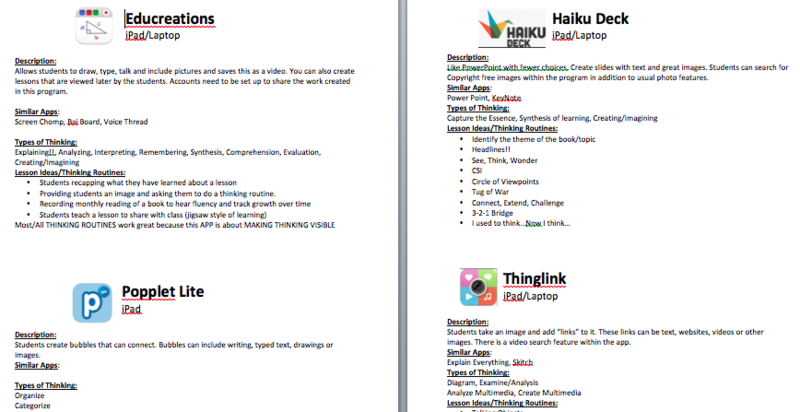 Haiku Deck (iPad or laptop) Free- Similar to Power Point, but focuses more on images and less text. Allows you to search for copyright free images within the program. Simplifies and streamlines the slideshow process to allow students to focus on content more than the bells and whistles! Requires an email to set up an account. Educreations (Free)- Allows you to record your lesson(including audio)- Similar to what you see in Khan Academy videos where the teacher is talking and writing on the white board.